Me, Beloved, and a couple of friends partook in Papa John’s Unlimited Pizza Tuesday promo on its last day at SM North EDSA. This promo has been around for a couple of months. We tried going on the first day, but the entire corridor was packed with people wanting to try it out, and we ended up in Joey Pepperoni. We didn’t have time or thought to go back after this incident. However, we found out that the last Tuesday was a couple of days ago, and we decided to take part in it, even if we had to queue. There was a similar crowd, the corridor filled with people when we arrived, an hour earlier than the promo time. Luckily, we were among the first who got accommodated. Priced at 199 Php, you get to choose from four different varieties: Pepperoni, Hawaiian, Chicken Bacon Ranch, and Garden Special. 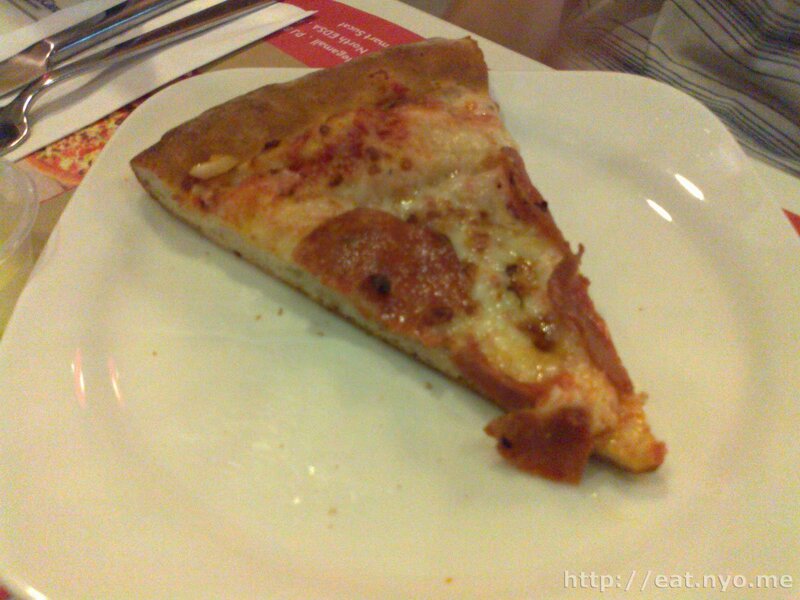 Unlike Leona’s all-you-can-eat promo, where an entire pizza is given for the table to consume, Papa John’s Unlimited Pizza promo serves by the slice. 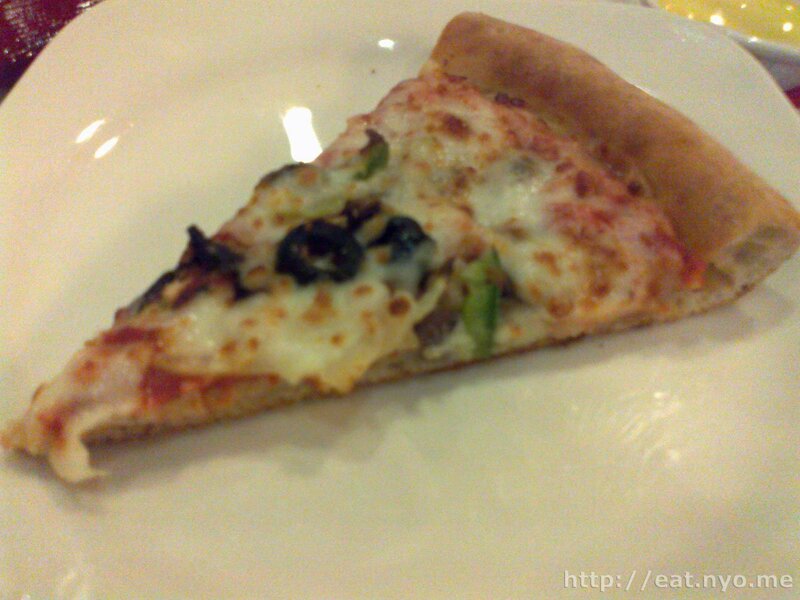 Servers roam around the store giving slices to empty plates. You have to eat the entire slice, including the crust, before you can get another. 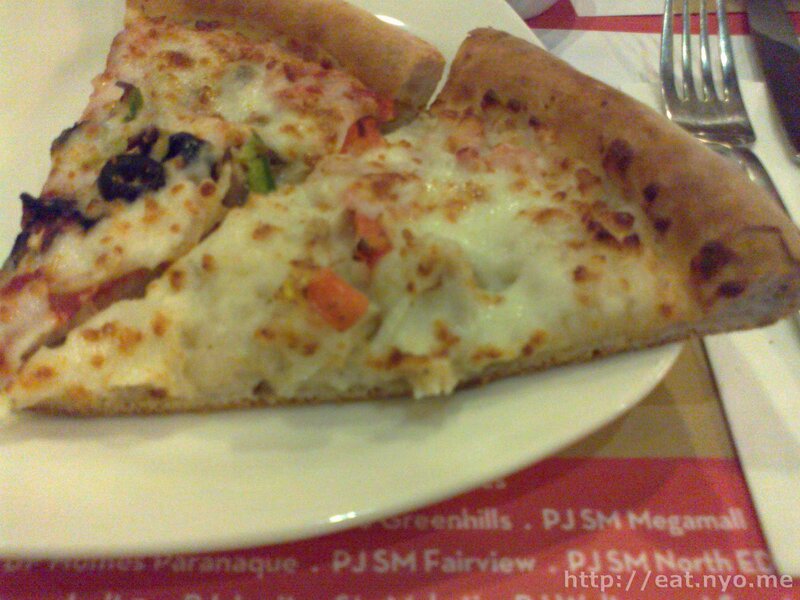 In general, their pizzas are of average thickness, not crisp-thin, but thinner than your usual pan pizzas. However, the amount of stringy mozzarella cheese and sauce was commendable. The four pizzas differ in the toppings. The Garden Pizza has black olives and peppers. I rank this second out of the four we ate. Next we got was their Chicken Bacon Ranch pizza. This was my favorite. Although there were only bits of both chicken and bacon scattered all over the slice, they were pretty prominent, including the ranch dressing. The Pepperoni pizza had generous amounts of spiced, salty sausage discs. We found it strangely crispy and piping hot. This wasn’t my favorite one, simply due to personal preference, but I’ll admit that this was among the better tasting pepperoni pizzas I’ve had. 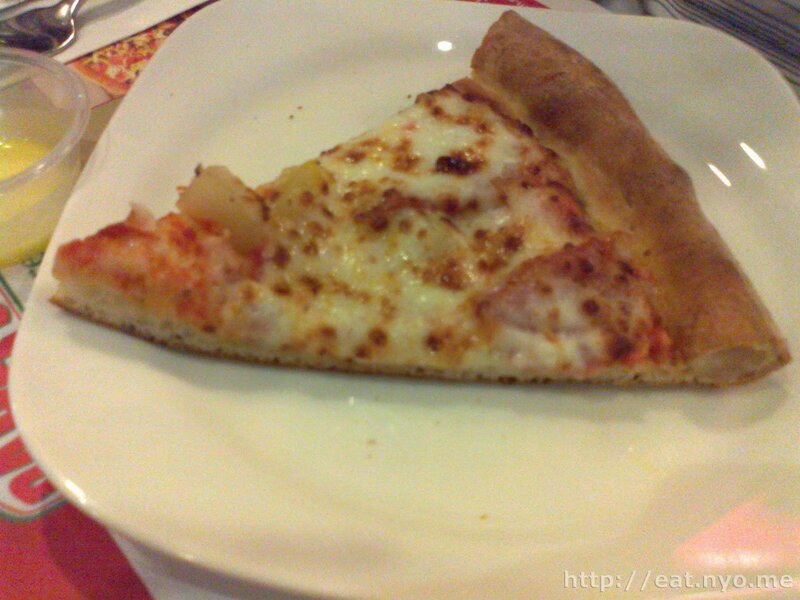 Finally, the Hawaiian pizza had the usual ham and pineapple combination. I only had one slice of this one. Personally, I’m not a fan. They served two delicious pizzas, and two I didn’t really fancy due to personal preference. I downed at least seven slices—I lost count because they kept serving even if you’re just holding the slice away from your plate. And based on the menu, six slices is the breaking-even point. Overall, for 200 Php, plus service charge, it was a pretty nice deal, and I found it worth queuing for. Sadly, they no longer offer this promo, but I believe this was a success due to the sheer number of people and demand, so they might offer it again in the future. Next time they have this promo, try to come early; if you don’t manage to be on the first batch of customers, you might have a bad time watching all those people downing their unlimited pizzas from Papa John’s. Budget: 200 Php per head. Not recommended for: Pizza haters and light eaters. Smart nomnomnom tip: The next time this happens, come early, as in an hour before, because there’s no reservation.